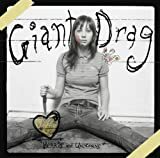 Giant Drag is a low-fi band with substandard production on their album �hearts and unicorns�. Some of the songs could be really good if the production was better, but unfortunately, most of the songs are dry, stale, and have no real mood to them to be their very own. I don�t really understand their need to put little snippets from the band talking between takes on the end and beginning of a few tracks, either, usually this can accomplish a funny, almost more human feel to an album, but on this it just come across as almost forced to be funny. This album isn�t all bad, but then again its not going to get many more listens from me either. Maybe next time they record they won�t have such a homemade production quality to them, and then maybe they will shine a little better.